Pesca-what now? That’s probably what you’re thinking. Say it with us: Pes-ca-tar-ian. It’s a vegetarian diet that still includes fish consumption. So you can eat all the shrimp, salmon, clams, oysters, etc. that your heart desires–which makes the transfer to a diet sans meat and poultry much easier to do. It may seem odd to become a vegetarian and still consume once-living-organisms. There is that adage that says “Fish are friends, not food” (Wait, wasn’t that from Finding Nemo? Moving on…). Even so, we can firsthand understand the difficulties in becoming completely plant-based. You may still have health concerns regarding the ability to get your daily intake of certain nutrients or consume a healthful amount of protein. While these are available to plant-only eaters, some can’t shake a diet without a more direct source of this needed compound. 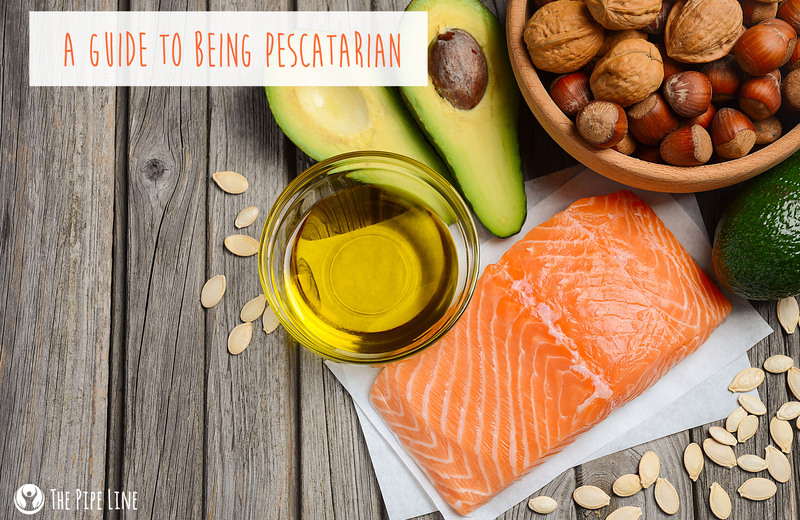 In other words, pescatarians realize that life is balance and balance is in the form of fish. So, why would anyone want to choose a fish-based diet rather than stick with meat? There are many reasons, the two most overpowering: they don’t want to eat animal friends anymore or have a heightened awareness of the impact of animal farming on the environment. One thing that is known, fish is high in Omega-3’s and these nutrients have been noted to have a great impact on health. The two types of omegas found within fatty fish—think salmon—are DHA and EPA. 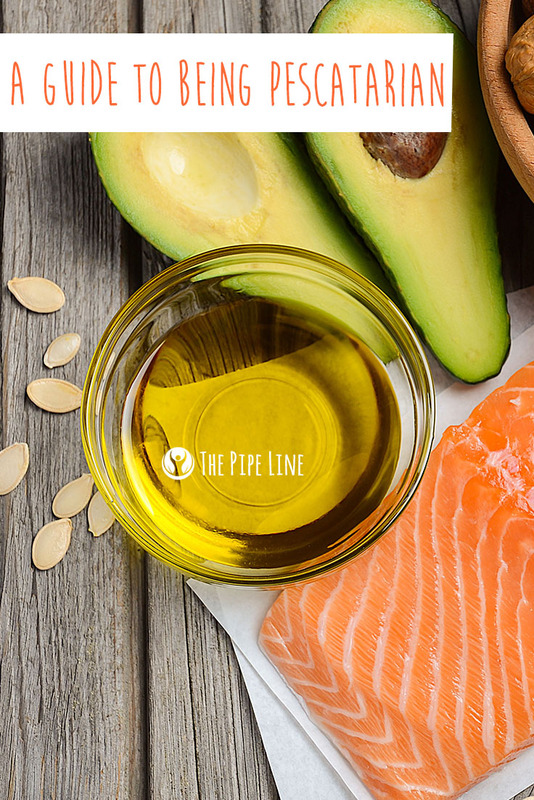 These both work synergistically when in the body to help support heart health. Shininess prevails. It’s a fact you are what you eat, and this especially holds true when it comes to the realm of hair. As new hair is constantly growing, it is important you’re feeding it a great supply of nutrients. Omega 3s do more than just support your health, they also support your hair. They help nourish follicles, stimulating growth and strengthening it from the root. Woo, hello lovely locks. Eating fish has been linked to healthier brain functioning. Take a guess why—you got! Omega 3s. These act as a powerhouse for the matter in the brain to not only restore it but strengthening it too. Pretty neat how just eating delicious food can give you a myriad of benefits like the above, right? If you’re thinking that all sounds super dandy and want to go ahead and give it a shot…Here are three recipes that are great to try out. We suggest devoting a week to testing it out, and making these three recipes your dinners on three separate days (Captain Obvious says hi), with other meals vegetarian-based. Massage the EVOO into the salmon, sprinkle salt and pepper, then top with the capers. In an oven preheated to 400 degrees F, bake for 30 minutes. Check, and if cooked thoroughly—no raw pink—take out. Squeeze lemon or lime (your call) on to the fish and enjoy! Taco Truck Approved. These tacos are everything you want in tacos, they are crispy, simple and a little messy. The best part? You can make them at home! Get your pan hot over a med-high heat. Warm the EVOO on the pan. Season the fillets with salt and pepper. Cook one side to done, then flip and repeat. Break apart the fish with a knife, and place in the shells of the taco. Add a scoop of salsa and a few pieces of avocado on top. When in doubt, go with pasta. You can never mess up this simple staple dish. To make this dinner, simply boil water and cook pasta as you normally would. While that is preparing, on a small saucepan, heat up the EVOO over medium heat. Then add in the shrimp with finely cut cilantro. Season mid-way through cooking with salt and pepper. Once all the shrimp are cooked (white, not translucent) remove from heat. Strain the pasta. Place the pasta in a bowl and add the seasoned shrimp on top. Enjoy! Read all of that and are thinking “Eh, not for me”? We understand. Hopefully you’ll take away the importance of Omega-3s in your diet though! In the event you don’t want to ward off meat, you can always take our Omega-3 Fish Oil 1200 mg Lemon Flavor supplement for the above benefits void of a fishy taste.